World IBD Day 2016 takes place on Thursday 19 May. To mark the day we have created a video to raise awareness of inflammatory bowel disease and fundraise for Crohn's and Colitis UK. Please help raise awareness of what living with IBD is like by sharing this video on social media. Would you like to connect with others living with IBD? 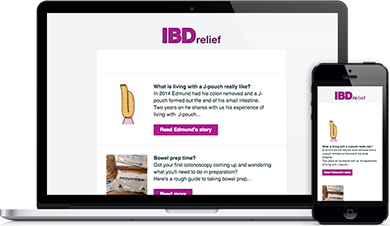 Connect with others who are living with Crohn's disease and ulcerative colitis by joining IBDrelief for free.